You spoke up. We listened! We've been working hard over the last few months to improve our shipping methods and we're proud to say we've done it! 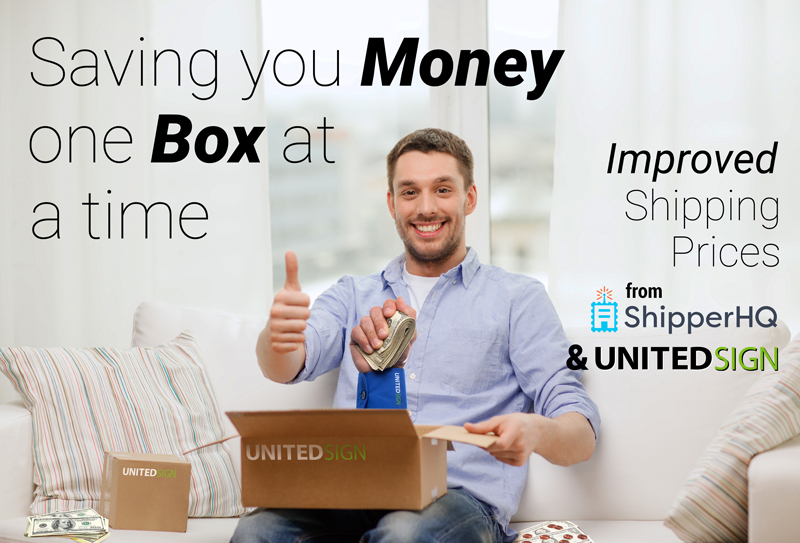 UnitedSign.com has partnered with ShipperHQ to bring you the best shipping rates available. Using a proprietary software from ShipperHQ, we can find the right shipping method to suit your needs, saving you an average of $5 - $30 dollars per package.